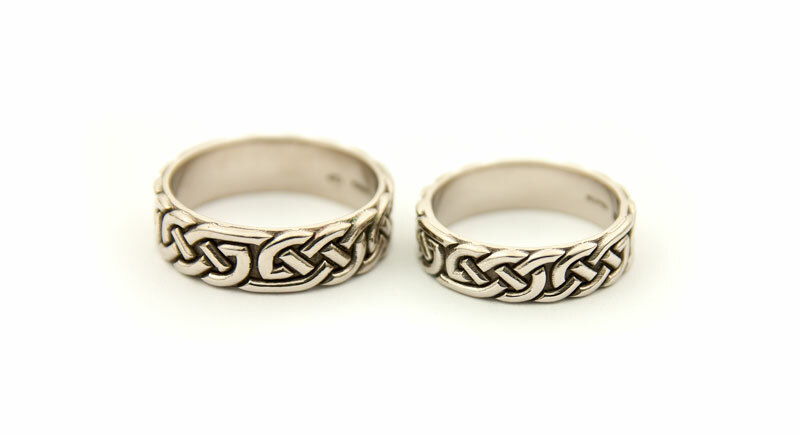 Celtic Knotwork | What's New at Rainnea Ltd.
We recently finished this pair of bold, heavy-weight Celtic wedding rings in 18ct White Gold, with a short inner inscription, for Lisa and Darren. They have kindly allowed us to post the email they sent when they received their rings. It was a pleasure working with the couple to make their rings and we appreciate the heartfelt thanks. 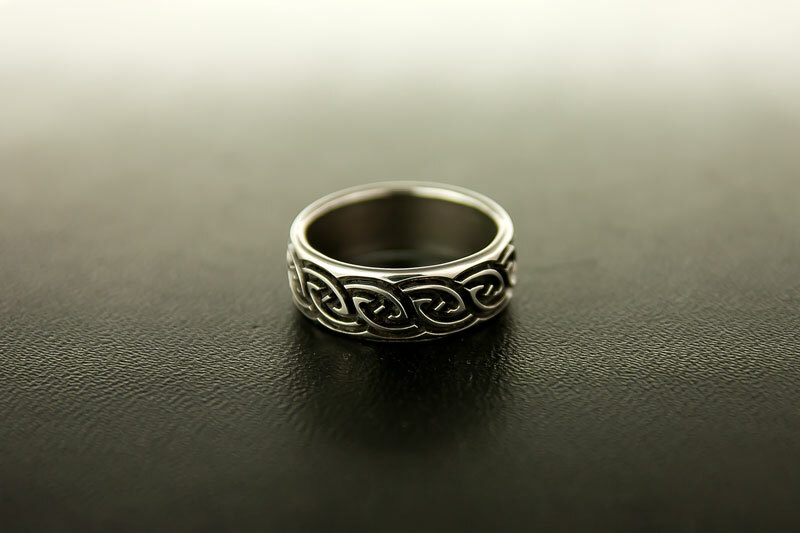 I designed and made this Celtic wedding ring in titanium for Ryan, the knotwork itself was made to be deep and bold. Ryan has kindly allowed me to print his email comments below.